The basement of my house where my son had lived was destroyed by hurricane sandy. After a couple of years we decided to do it over and we were lucky enough to find Al Emerson to do the job for us. We had told him what we wanted to do and he was helpful with giving us suggestion and helping us figuring the best way to do the job. He also sent me to great place to pick out all the tiles for the job and had a great person help me with all of it. 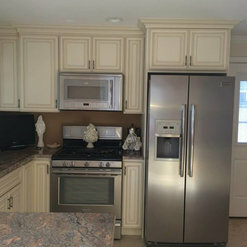 Al also helped me to pick kitchen cabinets to get the most cabinet space that we could and they also look beautiful and are perfect for a basement apartment Everyone who he has working with him is amazing they all do such great job. 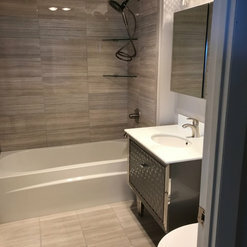 We had a problem because of the tile we picked was taking on the color of the grout, even though it wasn't there fault they took the whole wall of tiles down and redid it with a different color grout and it came out beautiful. The plumber he used was excellent he was there on Christmas Eve to hook up the kitchen sink. They are also very reasonably priced and I have no doubt the excellent work they did in my basement has greatly increased the value of my house. Everyone who walks in there can't believe how amazing it came out you forget your in a basement. I couldn't be happier with the finished job. 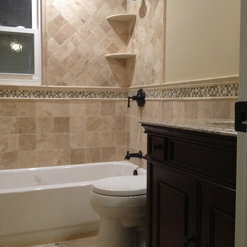 I have worked with other contractor and there is none that can compare to Emerson Brothers, I highly recommend them. We were very pleased with all aspects of the job. From the first, when I believe her name was Samantha, came with samples to the completed job everyone kept on-time appointments and were very pleasant to work with. The job was very professional and has attracted many favorable comments from visitors. We have recommended them to others. 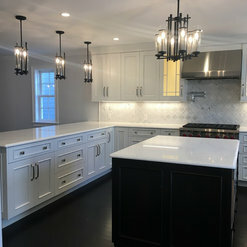 Emerson Brothers are a wonderful company to work along with - they are consistent with great work provided to both homeowners who hire them and contractors that they hire. It is a pleasure to work along side with Emerson Brothers and we are pleased to know our business' have a positive future working together. 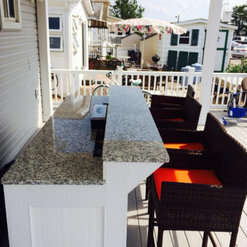 We hired Emerson Brothers, LLC to build us a deck, an outdoor bar and a permanent awning over the back deck. they did exquisite work. Countless neighbors have stopped us to compliment the work. They produce very high quality work. We are extremely happy with the work they have completed for us. We would surely use them again! 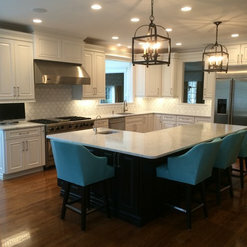 Emerson Brothers renovated our kitchen, and built an adjoining breakfast room. The entire job was done with the highest quality of workmanship. They were extremely responsive to the homeowners' requests. Allen and Wayne are trustworthy contractors, and a pleasure to deal with. Samantha, in the office, is very professional, and communicated with us on a daily basis. 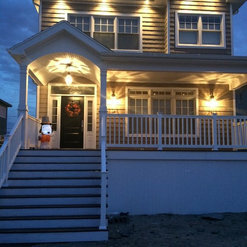 Emerson Brothers did an amazing job rebuilding my home after it was destroyed by Hurricane Sandy. The amount of damaged was unbelievable and I never thought my house could be made into a home again. Emerson Brothers completely gutted my home, and then rebuilt it from the ground up... room by room. They layout of my home is beautiful and the work done is absolutely amazing. I truly never thought my house could look so gorgeous, new and modern! These guys can do anything and they do it with pride! I would recommend Emerson Brothers to anyone and everyone. They took care of everything... down to the painting and installation of all appliances. 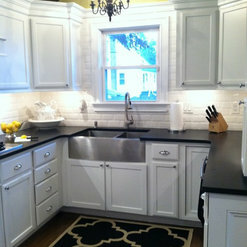 My new kitchen is my new favorite room and now I love to entertain and show of my beautiful new home. I can not thank Emerson Brothers enough for what they did for my father and I. 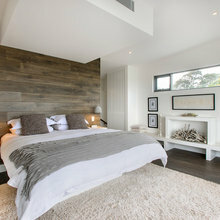 We needed wood floors installed and we chose Emerson Brothers. 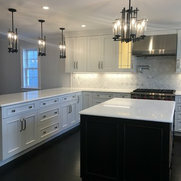 They answered every question, had the job done in a timely manner, were very professional and most important...left us with beautiful wood floors... what a difference it makes in our home. 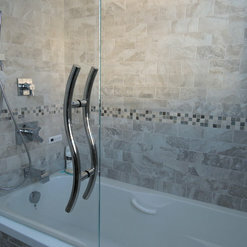 We would highly recommend Emerson Brothers for any home remodeling jobs! Thanks guys! Wayne, Sam and Al with Emerson Brothers are great. 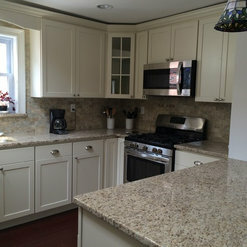 We renovated our entire bathroom and added a backsplash to our kitchen, and they did a fantastic job. 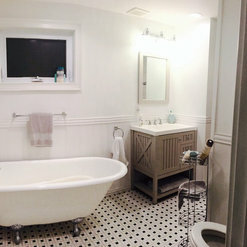 Wayne's attention to detail to ensure my tile work was set perfectly was just what I needed. Everything was done perfectly and we are thrilled with the end result. We are so happy to have found a local contractor we know we can trust- and will certainly recommend them and use them for years to come. Thanks again! I usually do not take the time to participate in these types of reviews. However, my experience with this company was so exceptional that I felt obligated to write something. 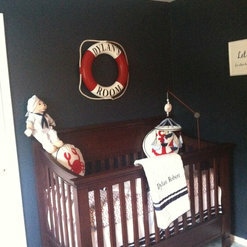 I had my son's nursery painted that included a gingham-patterned wall. It came out absolutely beautiful...far exceeding my expectations! The job was also completed earlier than expected due to their diligence. Additionally, Emerson Brothers safely hung up the wall décor as a courtesy. About a month later, I purchased a dishwasher from the wholesaler. The delivery man couldn't install it due to some cabinetry issues. I called Emerson Brothers and they were here the next day. The dishwasher was installed within 30 minutes with no mess to clean up and removal of the old appliance as well!. I am so impressed with this company. The employees are highly skilled, professional, and friendly. I would recommend them to anyone with home improvement/design/remodeling needs. After hurricane Sandy destroyed 45% of my foundation I was left with a house leaning several inches to 1 side. We had the house stabilized then had a new foundation built and the house levelled. The process created cracked walls and ceilings, frozen doors, windows etc. We had considerable water damage in the ground floor, lost the outside deck and two canopies over the front and rear doors. Al Emerson had been a neighbor 30 years ago when he was a teenager working with local contractors and the Emerson Bros. reputation was about "attention to detail" and taking work they can complete, being responsible and follow up. We asked them to take on everything needed to repair the house from plumbing, electric, walls and ceilings to rebuilding two new bath rooms, a new kitchen some structural work to bring the house back to it's original condition and new floors throughout the ground floor ( wood LR and porcelain elsewhere) , paint the entire inside and clean and replce damaged siding as well as add new doors and two new windows. We also added a new LR wall to cover an old fireplace and they built a custom hearth to create a much more finished look. We are thrilled with the results and would highly recommend Emerson Bros. to anyone doing anything from an outside deck to a complete build from scratch. They are well organized and communicate well, with an efficient back office and help with design. Commented: Small living roomThe sectional is a great idea; however, I would keep it neat with clean lines and arms. Otherwise it might overwhelm the space if you select rolled arms and back pillow cushions. Commented: VanityThe client has not reported any such issues to us. 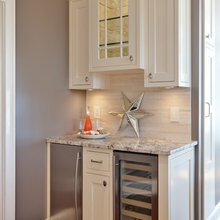 Commented: Paint color?The wall color is Benjamin Moore Lennox Tan.